One of the key areas that I work in school within is setting up, developing and training on how to effectively use School Radio to become an active part of the school’s curriculum along with it being an amazing resource and method to increase students confidence and motivation. The way that I see a radio station working efficiently and effectively within a school is to keep the equipment simple and effective. 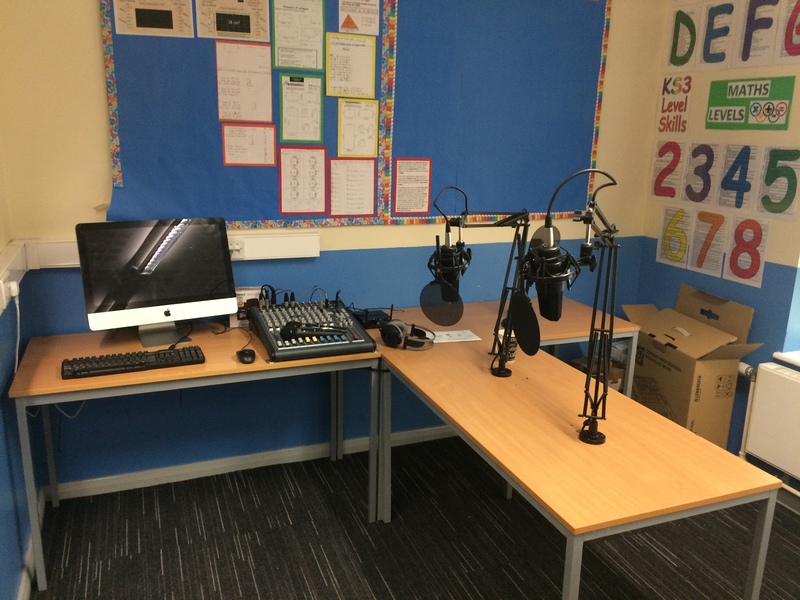 For many years I setup and became the Technical Director of Get On The Radio Ltd, which as a company we delivered radio projects in over 20 schools around the the midlands and beyond. Though now the company has dissolved, I continue working with key practitioners to deliver radio projects. 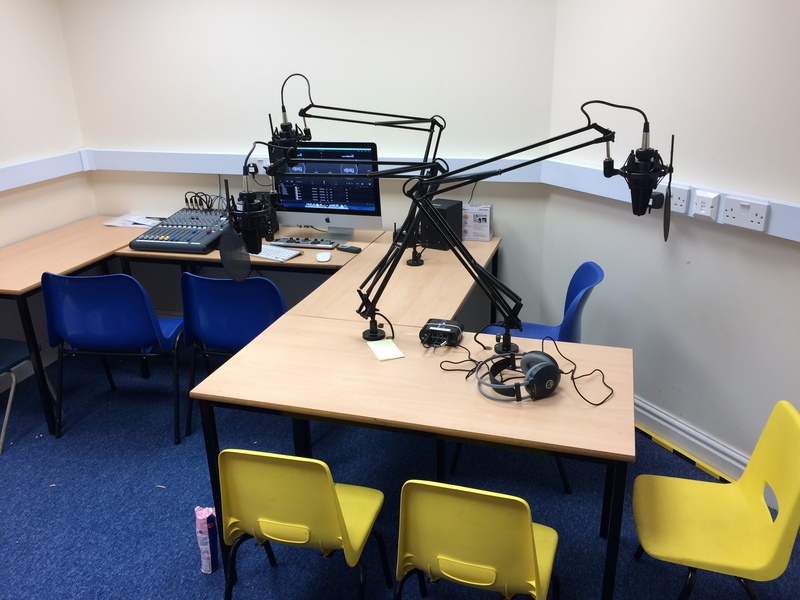 My key philosophy for making a radio station work efficiently and effectively within a school is to keep the equipment simple and effective by using software and hardware that is accessible and easy to learn by both staff and pupils. At the heart of the station is an Apple iMac, running a few bits of key software such as Garage Band for editing and Djay Pro for playing shows with other software to broadcast the output over the school network. This iMac is then connected to a radio mixing desk and good quality condenser microphones to pick up even the quietest of voices. These are positioned on angle poise microphone stands along with studio speakers and headphone. 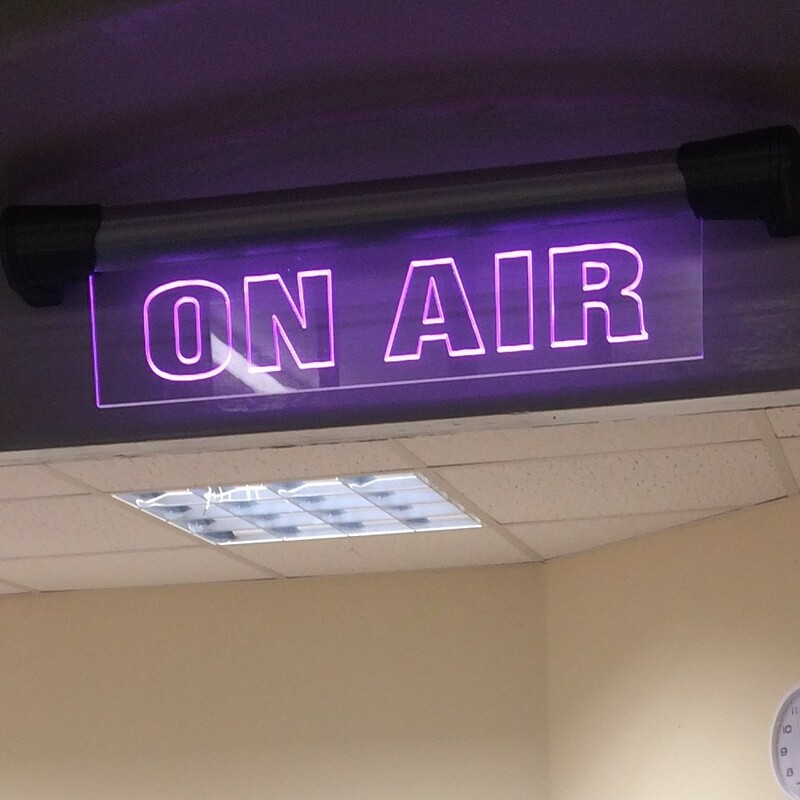 Then the all and the all important ‘On-Air’ sign is positioned outside the room which automatically changes colour when the microphones are live. 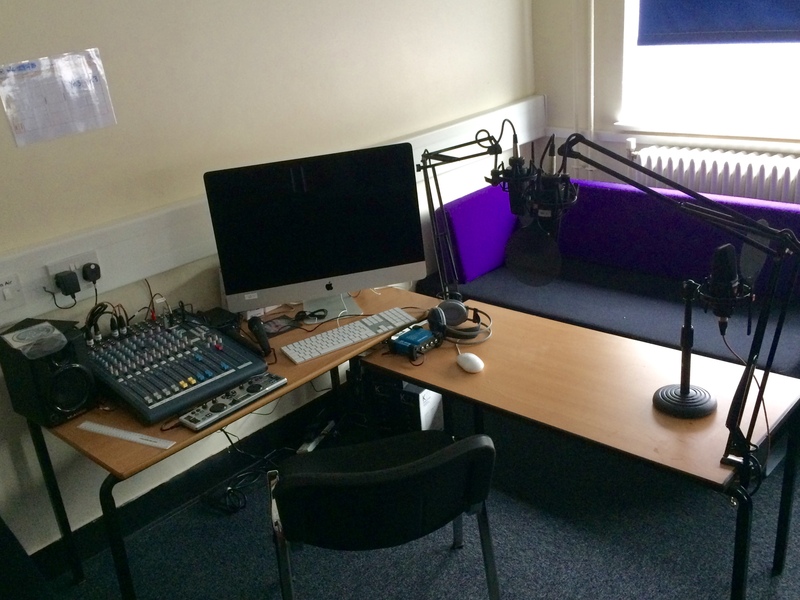 With the basic setup of just the studio it is possible to broadcast around the school using no additional kit. Using the existing school network, the studio will broadcast over the classroom computers and interactive white boards to listen by visiting an internal website. The other method of broadcast is defining listening zones, for example in a playground, reception area or corridors. 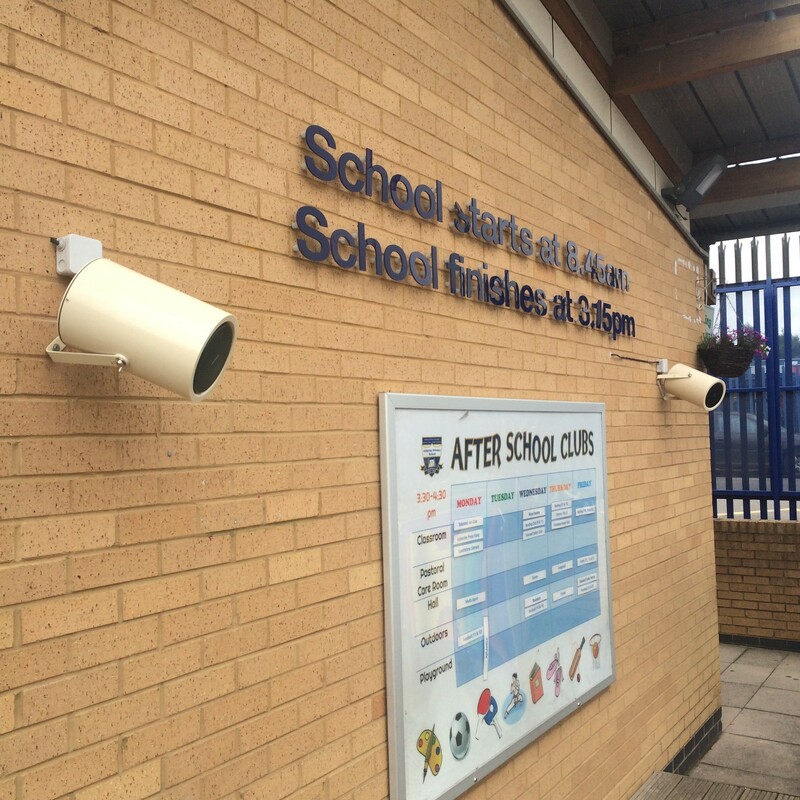 Again, this can be done utilising the existing school network, devices that connect to the school network receive a connection initiated from the studio then broadcast it out over speakers that they are connected to. There is no need to have long cables physically run from the studio to the speakers.